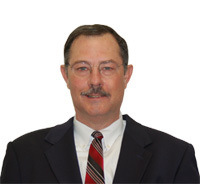 Rod Davis's processes and methods have helped businesses save over $20,000,000 in the last 15 years. Written by Optimizon's founder and president, Rod Davis, this book - Buying a Copier? How To Get What You Pay For - is an insider's perspective of commercial copier sales. Rod took over a decade of commercial copier sales experience and turned it inside out, helping buying organizations better understand a vendor's approach to selling copier equipment. What results is buying organizations are better able to get what they pay for copier equipment and services. Here's your FREE copy of our Copier Buying Guide! Thanks for your interest in our book! You're seconds away from having it. All you you have to do is fill-out this simple two field form and we'll send it to you immediately. Thanks Again! Once retailing for $29.50 and currently out of print, this 140+ page book is yours in electronic form, free of charge! Countless public and private sector organizations have saved hundreds of thousands of dollars using the exact strategies and tips Rod shares in this book. But what's really impressive is how many organizations have used the tools Rod gives them to not only save money, but to remove common hassles associated with vendor management. Many organizations have cited process and performance improvements that achieve unimaginable benefits. Buying a copier has never been easier. Boiling down the mumbo jumbo of the various copier companies into concise, comparable, easy-to-work-with data has saved my company thousands of dollars. Rod Davis's methods have given me the tools necessary to make good, informed decisions by fairly comparing the options -- and not having to rely on the persuasiveness and cajolery of copier salespersons. What many believe is the most valuable part of the book is a handy 14 step guide offered at the end of the book - a summary of everything you need to do to be sure you choose the copier you need and that you get exactly what you pay for. This guide alone is a valuable resource to be used as checklist to be sure you followed every step necessary to stay in charge of the buying process. The procedures Rod Davis has described in this book have saved the Kuna (Idaho) School District thousands of dollars in copier and maintenance costs. Here's the form again. To get this book, all you have to do is fill-out this simple two field form and we'll send it to you immediately. This book is the real deal and a real bargain!